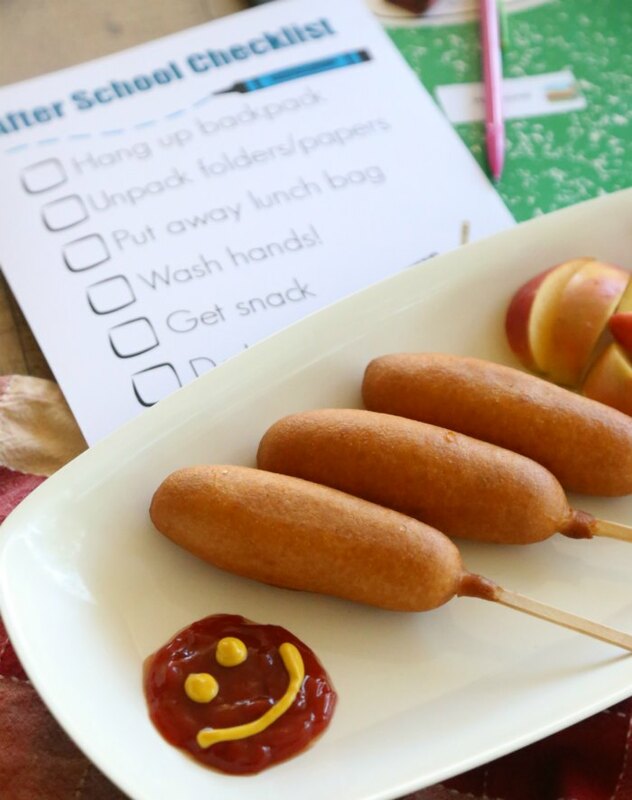 Help keep your afternoons less chaotic with this fun snack idea and free printable after school checklist! Are the afternoons crazy for you? They certainly can get that way rather quickly around here. The boys have been back in school a few weeks and we’re trying to get settled into the new routines. But with homework, after school activities, and 3 ravenously hungry boys, things can get crazy fast! So, I’ve been trying to find things to help our afternoons flow more smoothly and be more light-hearted. Two things that help? 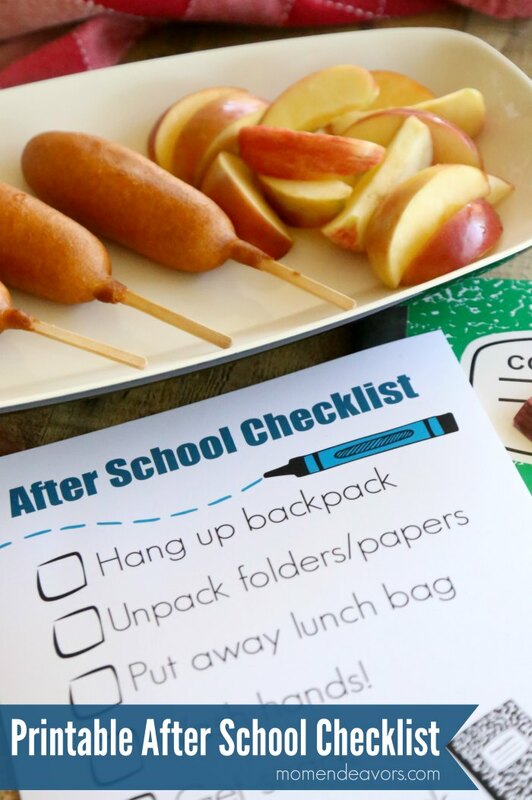 An after school checklist and easy snacks! Pro-tip: Laminate it and hand the kiddos a dry erase (or wet erase) marker. Then you can use it over and over again until everyone has the routine down. As part of our checklist, you can see that “snack” is listed right on there. Snack time HAS to be a part of our after school routine here. Are anyone else’s kids STARVING when they get home? Mine are! Snacking is a must to keep that “witching-hour” crankiness at bay while I make dinner and we do all the after school things! So, I’m all about using a variety of after school snacks to keep things fun and interesting after school. Having a fun after school snack together can really be a special time with the kids. From fruits & veggies or crackers & cheese, to chicken nuggets or corn dogs, there are SO many different ways to have a good after school snack! I tend to give the boys something a little heartier on our soccer nights so snack can really stick with them until our late dinner. 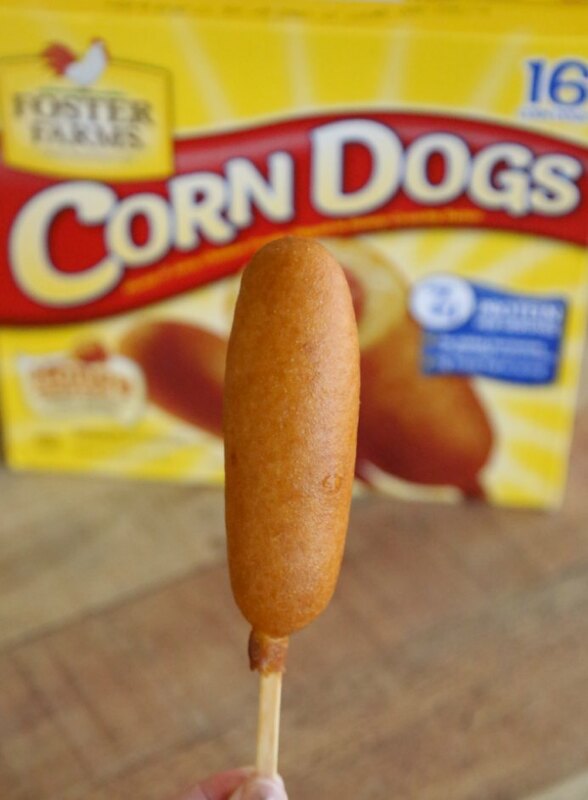 Enter Foster Farms Chicken Breast Nuggets and Foster Farms Honey Crunchy Corn Dogs Chicken Nuggets have long been one of my boys’ favorites, but for something really fun Honey Crunchy Corn Dogs is where it’s at. I mean, isn’t food-on-a-stick just more fun?! 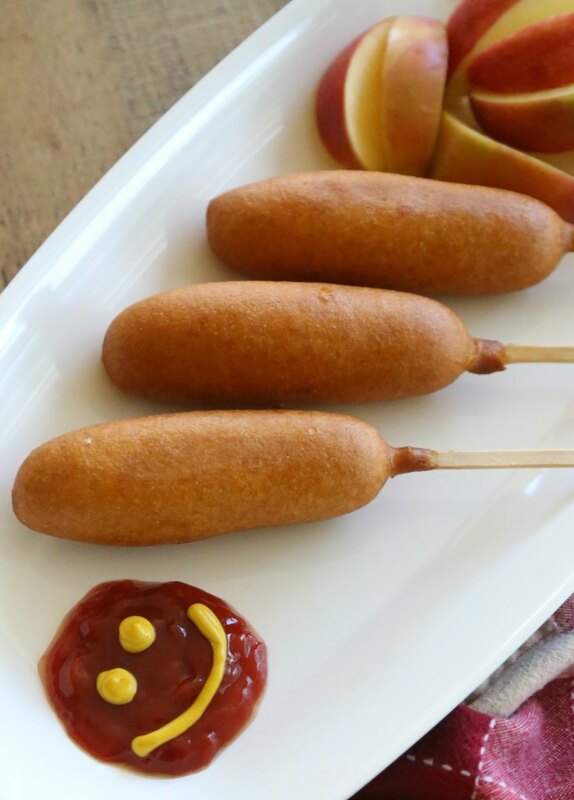 They’re a fun treat for the kids – and even more fun when you have smiley-face dip! 🙂 And, as a mom, I love that they’re made of chicken with 7 grams of protein and no added hormones or steroids! I also love how easy they are to prepare. Just like the nuggets, all I need to do is pop them in our oven for a few minutes and we have a hot, crunchy, tasty snack ready! Pair it with some fun dip and some fruit and/or veggies and you have a great after school snack for the kids. Like I said, this type of thing is a favorite snack for us on sports nights! I’m all about easy & fun options when it makes sense. So, I LOVE keeping things like the link and link on hand in the freezer so we can have a fun snack in no-time. 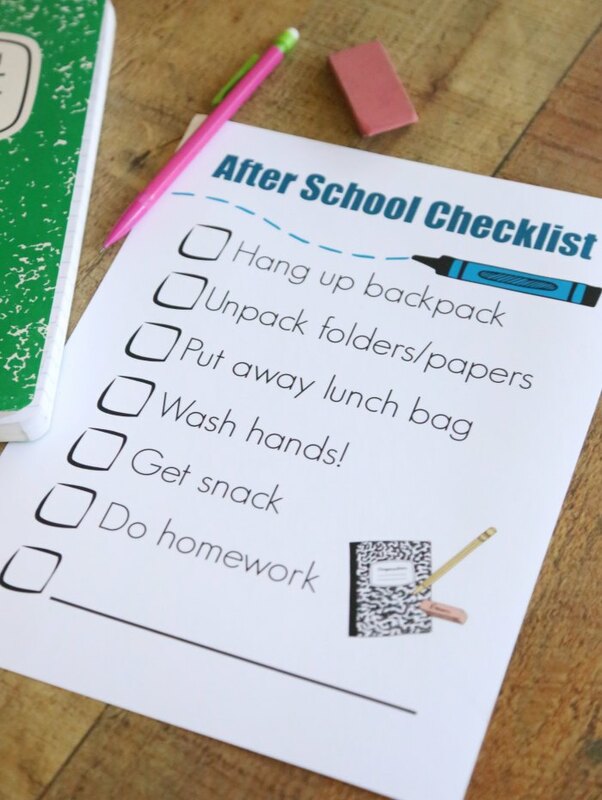 So, I highly recommend helping your own afternoons go more smoothly by establishing after school routines, printing our checklist if it’s of help to you, and stocking up on some good after school snack options! When the afternoons go more smoothly and you can enjoy a nice snack together, it really makes everything better and helps everyone feel like #BackToSchoolIsFUN! How do you make afternoons go more smoothly?